Baratang falls into the North and Middle Andamans. It is located 150 kilometres to the north of Port Blair. Baratang is a very popular tourist haunt for the excited travellers who venture out into the distant archipelago. Baratang Island has idyllic and picturesque beaches contrasted with mangrove creeks and gifted with the unique nature’s marvel in the form of limestone caves and mud volcanoes. Baratang is connected to Port Blair by the Andaman Trunk Road that traverses through Rangat and Mayabunder and ultimately reaches this island. The Limestone along with the mud volcanoes form unique attractions for the tourists and the sites can be visited after obtaining permission from the local authorities. The Forest Department and the local guides extend help in conducting guided tours for the travellers. Baratang forms a thrilling and sensational destination that is about 100 kilometres away from Port Blair. One has to travel by road and cross a creek via a ferry through Middle Strait to reach Baratang. Government-run buses, private buses and cab facilities along with other means of transport are available. From the Nilambur Jetty of Baratang Island to the Lime Stone Caves it is 30 minutes boat ride. The boat route takes the tourists through beautiful creeks and reaches the Nayadera Jetty. The boat ride is extremely joyful and offers a relaxing experience. After this point, it is 1.5 kilometres walk through the tropical forest. These magnificent limestone rocks have been formed from limestone, which is a sedimentary rock formed at the bottom of the sea due to compression over millions of years of the gradual deposits of many ingredients such as marine life, shells, skeletons and corals. The caves exhibit gorgeous sedimentary limestone formations. These formations show some deposits hanging from the roofs and some grow pointedly from the base. The veritable limestone patterns can be seen within the caves. The caves constantly get modified due to continuous deposition. Sometimes the caves are extremely dark and seem deep. Carrying a torch and walking in floaters or shoes are recommended while exploring the caves. 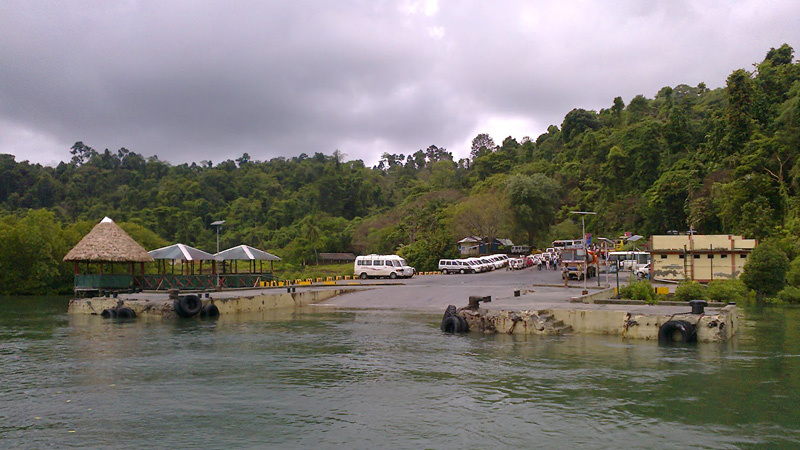 The Nilambur Jetty of Baratang Island leads to the Jarawa creek connected by a road. Jarawa Creek is at a walking distance from the Mud Volcanoes merely 250 to 300 meters away. The mud volcanoes are created as a result of emission of natural gases formed by the decaying organic matter lying underground. Mud is pushed upwards by the underground gases and as it is emitted above the surface it gets deposited and hardens. As more and more mud is spewed it spills over the edge and gradually the mud deposits grow in size. This then take the shape of a volcano and contains a muddy craters as a crowning glory. Also the small and mysterious Parrot Island situated near Baratang Jetty house thousands of parrots that fly and gather in the island every day at dusk and this phenomenon is a must watch.